The Book on Fundraising includes how to create a fundraising page at DonationTo.com, how to explain your cause and how to reach out to donors and social strategies for bringing awareness. As the months progressed we release each chapter on our blog. 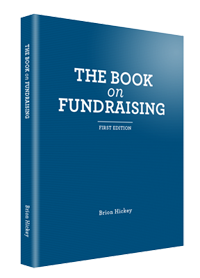 Below you will find all the links/chapters from The Book on Fundraising — Enjoy! Why its important to have a strategy for online fundraising. Donations don’t happen automatically. To get online donations a plan must be created. Its hard to raise money online for things donors can’t connect with. By creating a cause for something very specific, supporters will more likely donate to your online fundraising page. Explaining your cause will take effort. Take the time to provide all the details of your donation page. Giving too much information about your cause is better than not enough. There are many ways to ask for support. By following these key steps help encourage donors to contribute to your cause. There is more to asking for support than asking for money. To raise money online requires being found online easily. Lean how having your own domain name can make it easier for search engines to discover your fundraising page and make it easy for donors to find your page. Make sure your fundraising page doesn’t get lost in the sea of search engines! To have an online fundraising page means you will have to promote your cause. There is more to this can posting to Facebook. Learn all the easy locations to place your fundraising links so supporters can find and donate on your online fundraising page. If a photo can tell a 1000 words think how effective a video can be for your online fundraising campaign. Learn effective tips on creating your fundraising video. Learn the dos and don’ts of fundraising. This will help make sure you do the fundamental basics in raising money for your cause. This will help make sure you don’t make basic mistakes when spreading awareness for your next fundraiser. Tier level rewards are an effective way to get donors to support you cause. Learn how by providing rewards can help visitors stay engaged and help spread continued awareness. Direct mail is still an effective way to get support. Lear how tangible letters turn into constant friendly reminders and conversational pieces for raising money for your cause. Supporters love being contacted in many ways. Read how a simple phone call can lead to increase in donations for your next fundraiser. There is more to social fundraising than Tweets and Facebook posts. See how using the latest in social media techniques can make your next fundraising page go viral. Step by step directions on how to create an engaging email that will get supporters to visit your online fundraising page and take action! A simple email can get tons of supporters to increase donations or spread additional exposure. Search engines love content. See how creating a blog about your cause can increase traffic and awareness and get more online donations for your cause. Facebook post are great but Facebook events are even better. Step by step directions on how Facebook events will increase support to your cause and get more donations faster. Keep supporters engages with the best Twitter strategies. Here we specifically address the best ways to increase followers and ultimately drive more traffic to your online fundraising page. A quick summary of why online donations pages requires timeless online fundraising strategies to increase donations. By following these simple no technical directions you will hit your online fundraising goal faster! The book on crowdfunding is a powerful guide for those who would like to know how to crowd fund and keep all donations without paying credit card fees. More details on our donation website.